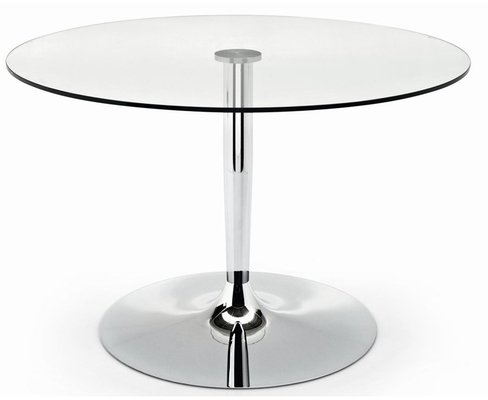 The Planet is a table with a central pedestal base with a weighted metal plate, which guarantees maximum stability. 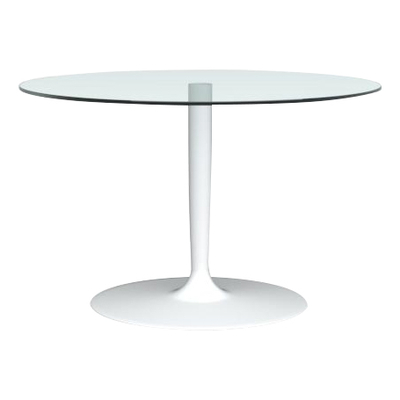 The round top is available in tempered glass or in wood. Comfort is ensured for every diners with this modern and elegant table perfect for the kitchen and the dining room.